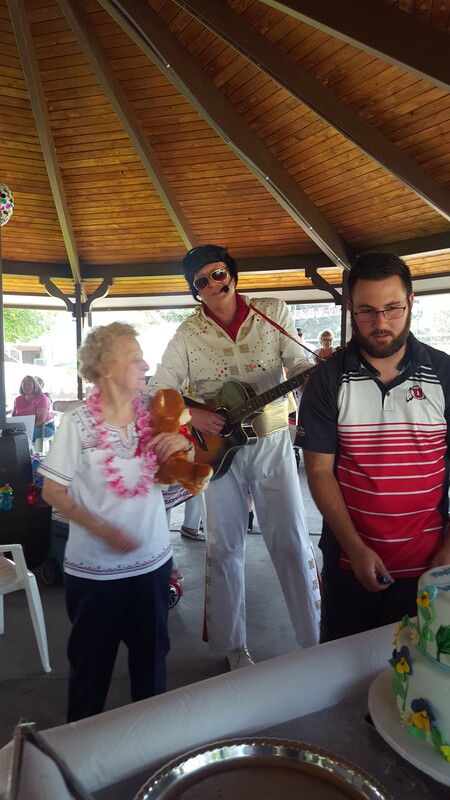 Bob "Elvis" Shorten is the best Elvis impersonator in Utah. He comes to your event and sings and plays and talks and interacts just like the King! 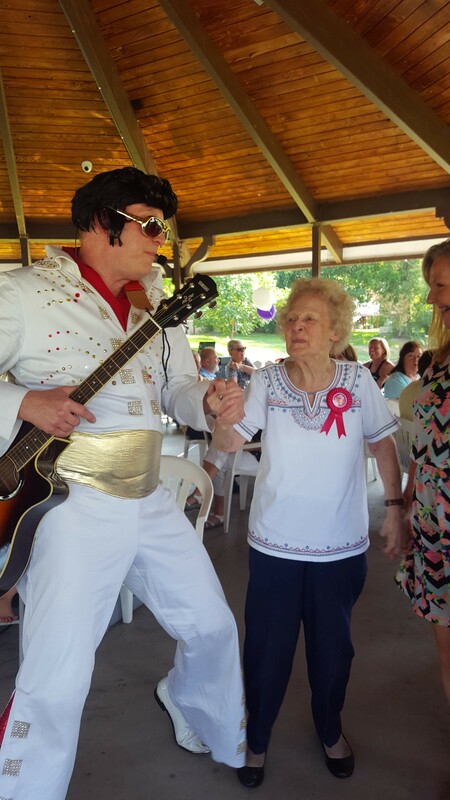 His voice is frequently noted as sounding "just like Elvis". You will swear that Elvis has not left the building. Thank you. It was a spectacular event, and such a fun crowd. 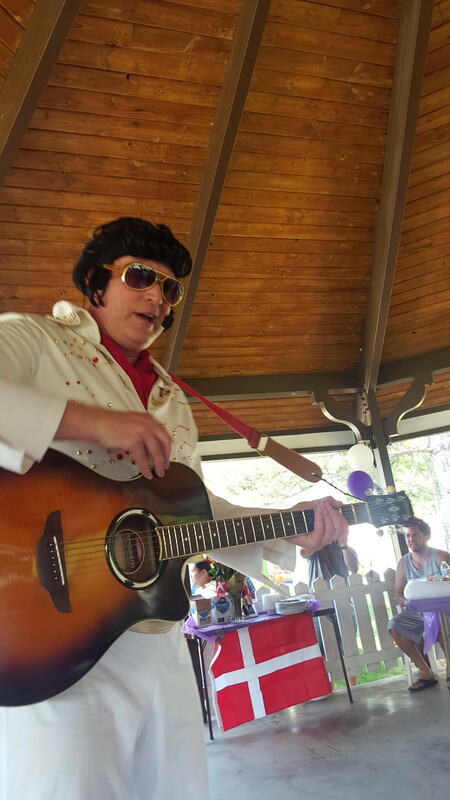 Bob "Elvis" did a great job at our event. 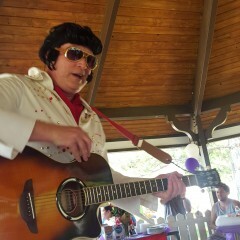 He really sounded like Elvis and was great at working the crowd in front of our booth. I would highly recommend him! 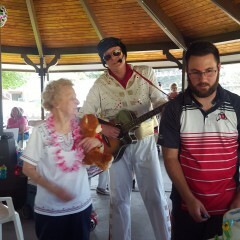 Bob "Elvis" was absolutely awesome! Bob contacted me ahead of time to ask about my Mom and what she might like. He was on time and played so many great songs and her favorites. He worked the crowd and everyone had so much fun! 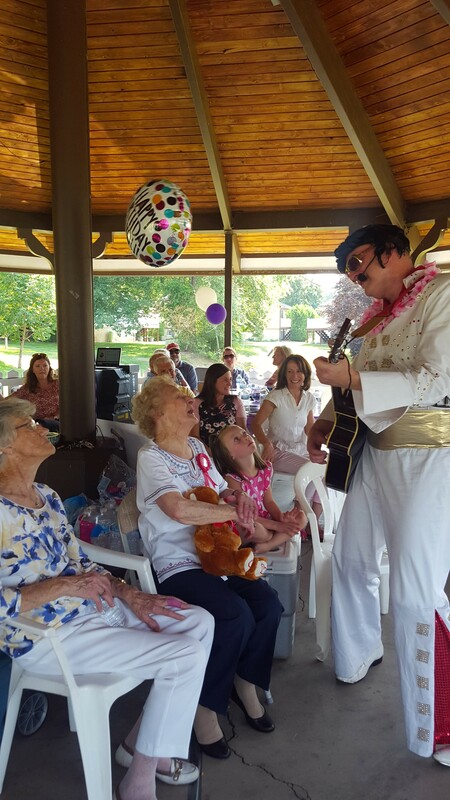 Bob is a professional and a wonderful entertainer! 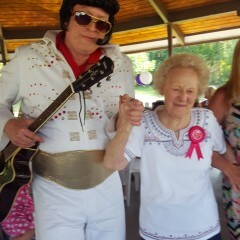 Thank you so much Bob for making my Moms 90th birthday an extra special event!! Bob is fantastic! We had an event that was pirate themed. Bob did a great pirate impersonation! He was so willing to jump right in and interact with people! He is extremely talented, kind, and outgoing! We were extremely pleased with his work! Thank you very much for your review. I had a great time there. 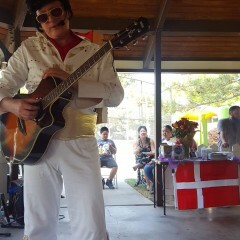 Elvis was in the house! 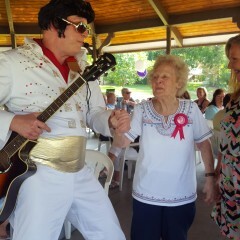 Elvis (Bob) was just wonderful. His interaction with my mom and those attending was great. 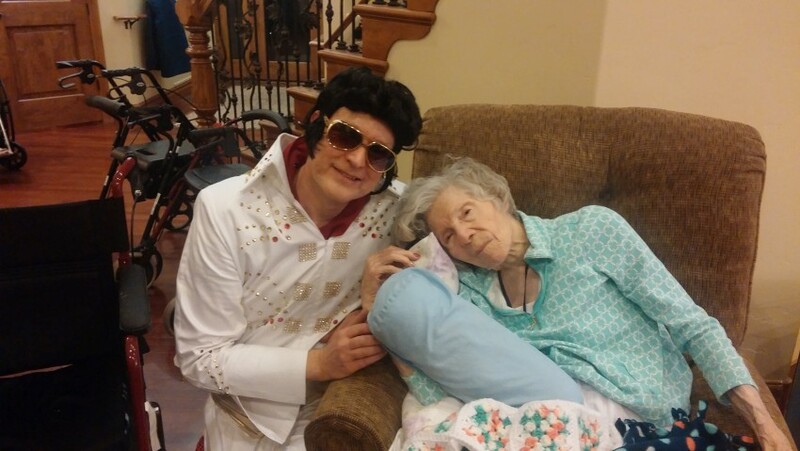 Prior to our event he had us find out our mom's favorite Elvis songs, which he sang and he provided a customized scarf with our moms name on it that my mom will cherish forever. He sounded just like Elvis, so much so the manager of the restaurant came up to me later and asked if his lip synching was good. No lip synching, it was all real! 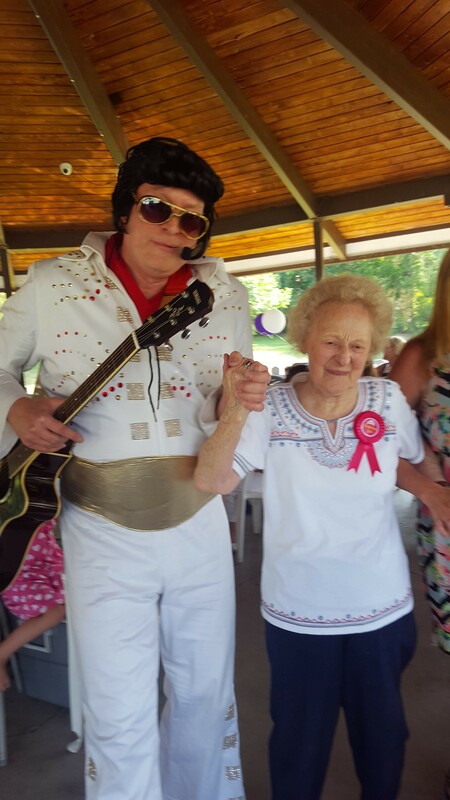 Thank you very much... Elvis had a wonderful time at the party with your family. Wow - a lot of fun! 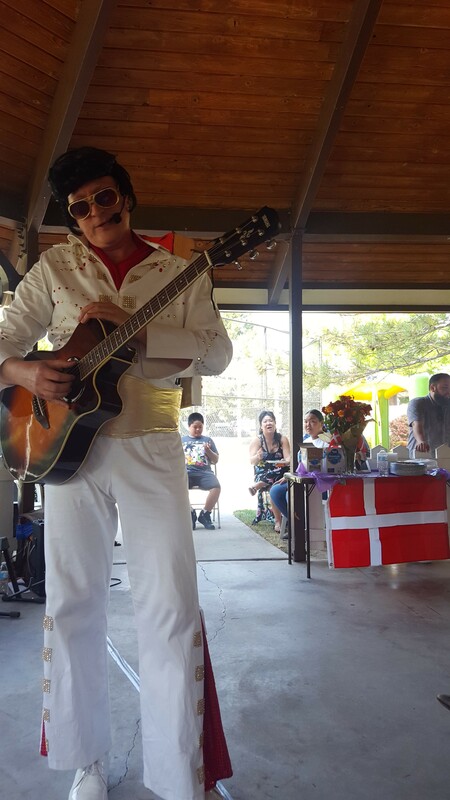 Bob "Elvis" Shorten was a wonderful guest performer at our event. Bob was on time and did an excellent show for us. Everyone had a good laugh! Thank you very much... 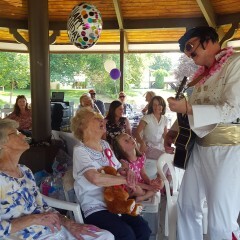 I enjoyed entertaining your Hound Dogs and serenading those pretty little ladies. Had him come for a company party. It was a blast. I asked him to ham it up and he brought it. Such fun! He was wonderful. Would definitely hire again. Better then Vegas Elvis hands down. This customer rated you highly for professionalism, responsiveness, value, punctuality, and work quality. 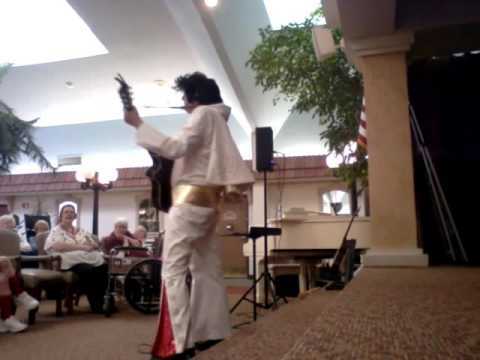 After setting up the sound system, the music will begin, and Elvis will appear right there before your eyes to sing, play the guitar and piano along with backing tracks. 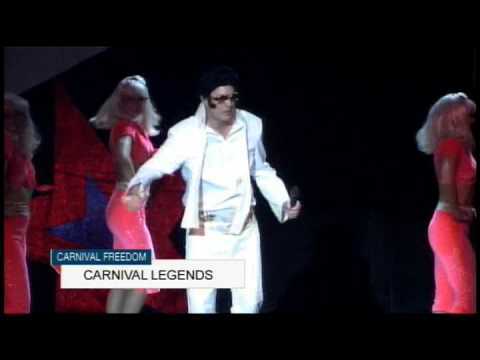 Elvis will woo the women and make the men jealous as he interacts with the audience singing such classics as Jailhouse Rock, Suspicious Minds and Heartbreak Hotel. 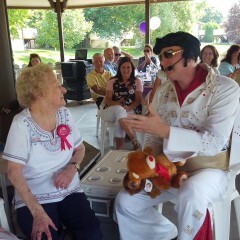 Elvis may just give out some of his extra scarves to some of the lucky ladies. Bob plays the keyboard, bass, guitar and sings. He specializes in the imitation of the original artists. 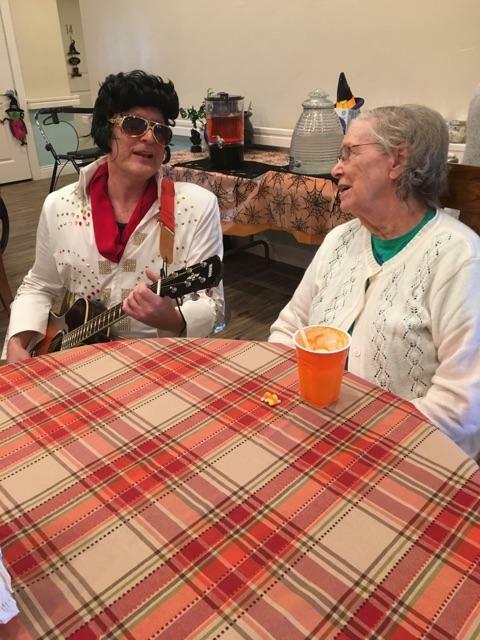 His resume of songs includes: Always, Sentimental Journey, In The Mood, Unforgettable, Pretty Woman, All Shook Up, Unchained Melody, She Loves You, and La Bamba. Bob also plays the harmonica, saxophone and the drums. Bob is a family man, living in Salt Lake City with his wife and four children. 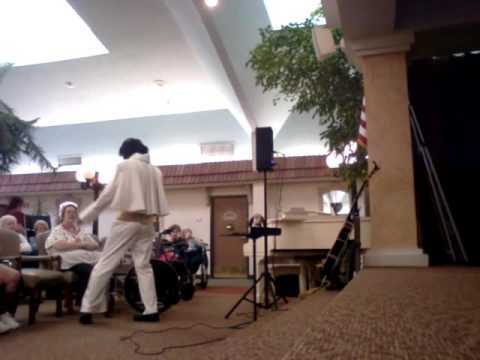 He has been imitating Elvis for years now and sounds just like him. Bob was born in West Germany before the wall came down. He also lived in the Netherlands, Maryland, Virginia, Argentina and Utah. He has been writing songs since he was nine. He studied piano for 2-1/2 years as a child, and later took up the guitar, bass, drums, saxophone and more. 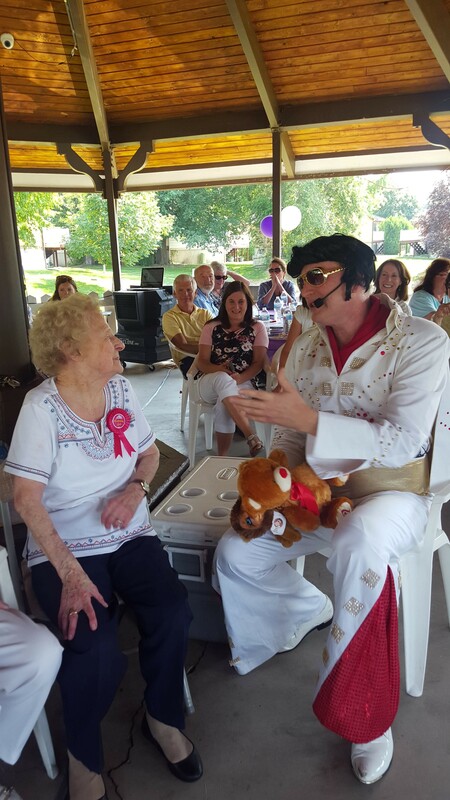 Audiences noticed how much he sounded like Elvis, so he picked up his dance moves and his speech, becoming Utah's best Elvis impersonator. 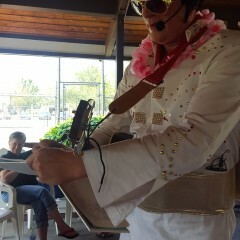 Elvis can entertain in just about any location. His acoustic performance is great for locations without access to power. His plugged-in performance includes a sound system and wireless headset and backing tracks to go along with his guitar (and piano if available). 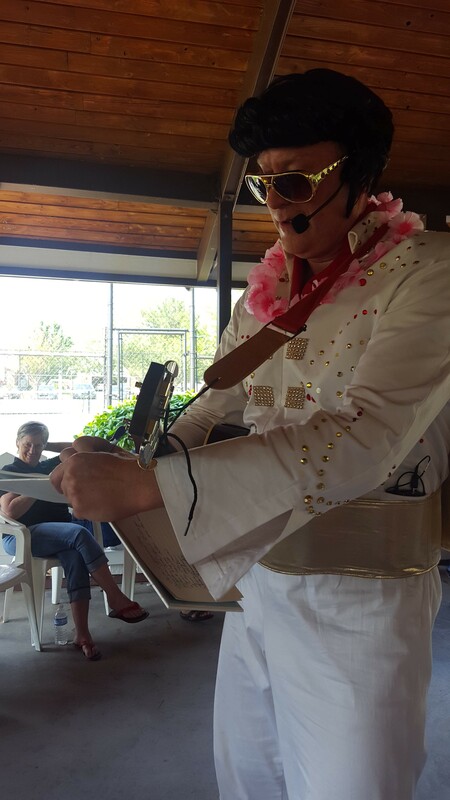 He plays and sings live, so enjoy Elvis Utah by Bob Shorten as he sounds just like the original Elvis Presley. Stages and lighting add to the effect if they are available at your event, but they are not necessary, depending on the size of the audience. Hound Dog, Return To Sender, Heartbreak Hotel, All Shook Up, Suspicious Minds, Jailhouse Rock, Blue Suede Shoes, That's All Right Momma, Bossa Nova Baby, A Little Less Conversation, Don't Be Cruel, Crying In The Chapel, Can't Help Falling In Love, Love Me Tender, Blue Hawaii, Hawaiian Wedding Song, Are You Lonesome Tonight and more. The stage can be set as big as can be, or even non-existent, and Elvis will still show up, tailoring his act to the requirements you set.